Airline is the No. 2 seed in the Class 5A state softball playoffs. The District 1 champion Lady Vikings (25-3) host No. 31 Zachary (7-23) in the first round. District 1 runner-up Haughton (18-8) will also be at home in the first round. The Lady Bucs host No. 18 Alexandria Senior High (15-15). Benton, which tied for second in District 1, barely missed out on a first-round home game in Class 4A. The No. 17 seed Lady Tigers (18-12) will visit No. 16 Tioga (13-13). The deadline will for playing first-round games is Saturday. Sam Houston is the No. 1 seed in Class 5A. 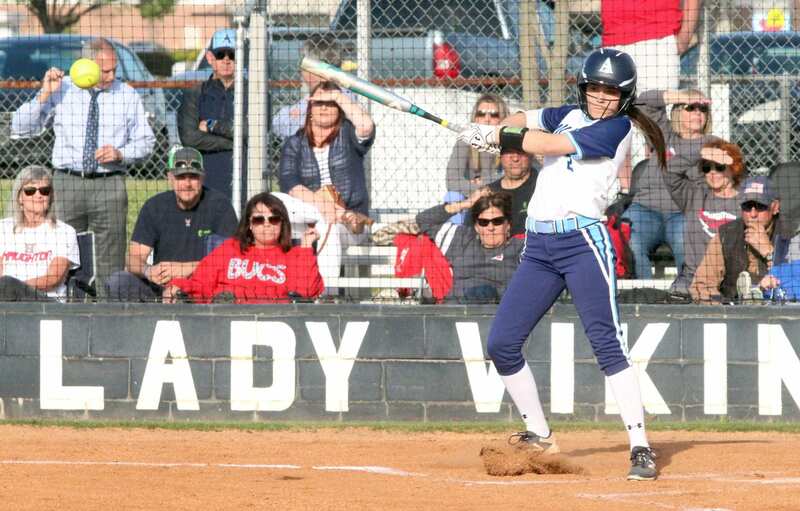 Airline lost to Sam Houston 3-2 in a tournament on March 16 in Sulphur. The Lady Broncos also defeated the Lady Vikings 2-0 in the Class 5A quarterfinals last year at the state tournament in Sulphur. This year, only semifinal and championship games in the LHSAA’s seven classes and five divisions will be played in Sulphur. Haughton lost to No. 5 seed Mandeville 2-1 last year. Mandeville advanced to the semifinals, falling to eventual state champion Ouachita Parish. Benton lost to Buckeye 6-4 in the first round.